t’s been hailed by some and rejected by others. Leaving Helvetica Neue for one all around the clock, multitasking font, the designers of Cupertino decided to name this typeface after the city that Apple adores that much (of course the people of San Francisco are not that happy about this love, their city is one of the least affordable cities in the world, but that’s not our case). This San Francisco is available in any iOS 9 operated gadget. Following is our very edited guide to Apple’s new typeface. Which is not one a single typeface if you know what I mean. 1. “San Francisco is a new family of type faces designed by Apple in California and it is both inconspicuous and beautiful” said Apple type designer Antonio Cavedoni, during WWDC. “[It] unifies our platform with a consistent typographic voice.” He wasn’t exaggerating at all. SF is being used in OS X for Macs, tvOS for Apple TV and of course, watchOS for the Apple Watch. 2. San Francisco has two distinct typefaces: SF UI and SF Compact. These sibling families were designed to be “related, but not equal” says Nick Keppol. “They share similar characteristics and features but are designed to look best on their intended platforms. SF UI is used on iOS, OS X, and now tvOS—SF Compact is used on the watch”. The Compact version of the San Francisco type system is less rounded. The difference is evident in round shaped letters. SF Compact’s flat vertical lines give more margins between letters, resulting in higher legibility in even the smaller of devices aka Apple Watch. 3. According to Apple, the new font is designed to deliver the maximum amount of clarity in terms of easy readability. 4. San Francisco is a sans-serif type system that unifies the typographic voice of Apple’s operating system and wants to bring one visual consistency with two distinct sub-families and new APIs for developers to enhance the textual presentation of their apps. 5. In designing San Francisco, Apple was tasked with creating a type system that could look and most importantly SCALE across three OS X operating systems! Well this family of typefaces had to deal with lots of screens and sizes. It simply had to fit Apple’s utilitarian mantra. 6. San Francisco is tricky. The main trick employed by Apple is that iOS 9 switches automatically from Display to Text at 20 points. “When this threshold is met, Apple “cheats” by altering the font ever so slightly so that it remains readable at smaller sizes. This makes Text suitable for text content displayed at 19 points and below, and Display the best option for labels and other text content displayed at 20 points and above. The difference between Text and Display is subtle and it likely won’t be noticed by most users, but it contributes to keeping San Francisco readable at any size, in any app, with any Dynamic Type setting. This also means that Text and Display are not equal: when text gets smaller, details of round shapes (such as the terminal of a lowercase “a”) get shorter and simplified, while the arm of a lowercase “t” and the shoulder of a lowercase “r” get slightly wider or longer to ensure shapes of letters can be quickly identified when reading. Then, size-specific tracking (the space between letters throughout an entire word, not to be confused with kerning) makes text further spread apart, in order to avoid confusion when reading sentences at a smaller point size. 7. Want to spot the differences? Go into Settings > General > Accessibility > Larger Text and move the slider how San Francisco adapts. 8. For many “San Francisco’s smaller optical size feels airy” and nice. For others it is a “hella ugly” new font, a Comic Sans for the iOS gen. “As if figuring out how to operating a new operating system wasn’t jarring enough, Apple apparently sent newly christened iOS 9 users into shock by introducing a new font,” the Digiday site reported quoting users who describe being “personally victimized” by the new introduction... Another one writes that it “looks like I’ve downloaded it off some dodgy Chinese app”. For WIRED magazine this is not the case. 9. “After two rocky years as Apple’s typographical identity, Helvetica Neue is being replaced by a bespoke font, San Francisco, as the default font on both OS X El Capitan and iOS 9 this fall. 10. San Francisco is a new version of a very familiar previous typeface (Helvetica Neue) and that’s good. It’s not too edgy, not too sharp, it’s smooth and legible. 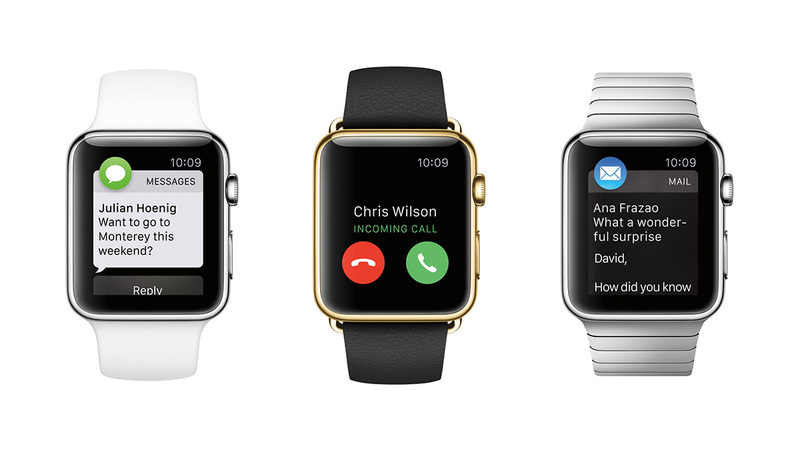 But as Nick Sherman tweeted “Apple’s new watch typeface is kinda similar to other typefaces. In other news, almost all typefaces are kinda similar to other typeface”. 11. One of the keys to readability is what is described as the large x-height: lower-case letters are around 75% of the height of capitals, making lower-case letters larger than in a typical font. The ‘eye’ of letters like e and a – the gap between the tail and the rest of the letter – are also larger than usual. 12. As for those who wonder why Apple left the “most lovable font of the world” (according to WIRED) let’s all agree on that. Helvetica is not the most appropriate font for texts in small sizes. So if Helvetica which was designed back in 1957 is a classic from the past, San Francisco may be a classic at least for Apple lovers.